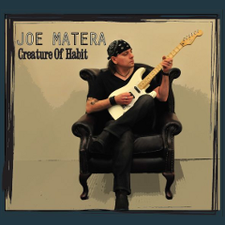 JOE MATERA is an Australian solo instrumental artist and rock guitarist. 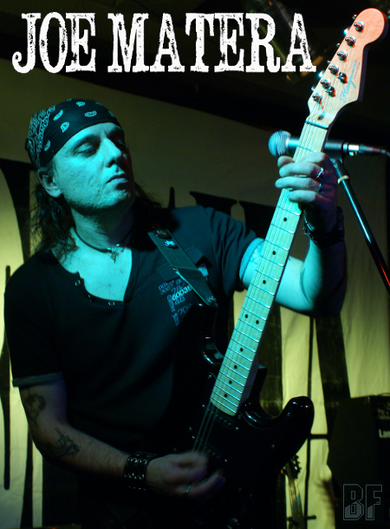 As a more than 20 year veteran of countless original and covers outfits, he has been lead guitarist in Australian rock outfit GEISHA (2007-2010) and in classic rock band DOUBLE VISION (2003-2008) he founded. He has also contributed guitar to a number of various projects and recordings, one of which include being guest guitar soloist on legendary UK metallers Atomkraft's scorching cover of Thin Lizzy's "Cold Sweat", and worked with legendary US producer Tom Werman (Motley Crue, Cheap Trick, Poison) who produced two tracks for his former band GEISHA. One of his original guitar instrumental compositions is "Starry Night", appears on the soundtrack to the Australian movie "Ricky! - The Movie" (Nov. 2011). He has served as lead guitarist in the orchestra for local award winning stage productions of "Les Misérables" and "Chess", and as a seasoned live performer, has shared the stage with some of Australia's top acts such as Dragon, Taxiride and others. He released the acoustic instrumental "Travellin' West" in 2010, the all-electric instrumental EP "Slave To The Fingers" in 2011 and the 2nd album "Creature Of Habit" through W.A.R Productions (Europe) and Mercury Fire Music (Australia) in 2012. This 11 track album features his first lead vocal outing on the track "Fallen Angel", it also can be seen in the music video.